When first hearing about twitter a few years ago, I could not comprehend how anyone could seriously think that anything meaningful could be said in 140 characters or less. I mean, I have already used up 162 characters in my second sentence and what have I said? My hasty judgement was totally unfounded. Twelve months ago I was converted. My epiphany is that it is the links to others not the 140 characters that is the power of twitter. Now as a serious convert (perhaps addict? 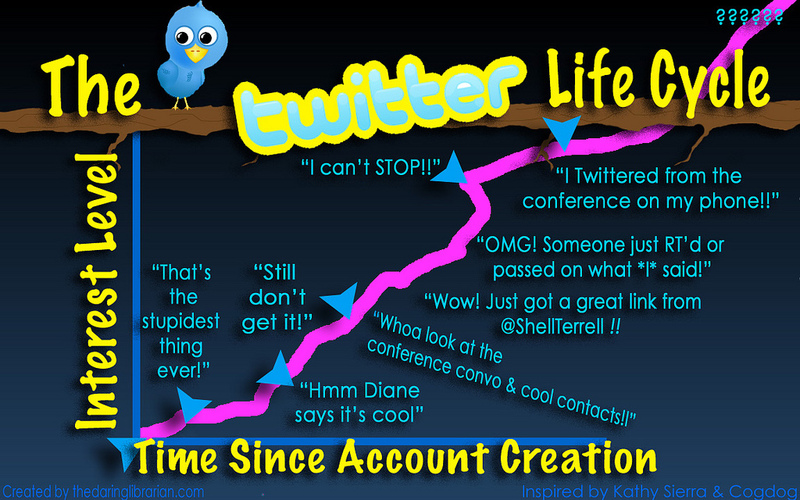 ), I check my twitter account every day without fail for my daily fix of professional learning. Kay Cantwell from Brisbane Catholic Education has written a great article titled Social media and schools as professional learning communities. There some great tips here as to how you can get started with using twitter and other forms of social media to create your own professional learning network. Seriously, some of the best professional learning is happening on twitter.